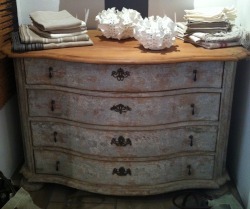 We saw this commode at Robert Deniau last weekend in the old village of Mougins. It is French, 18th century and all original. 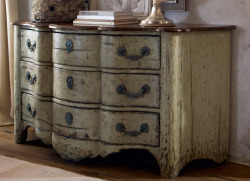 The finish is new and rustic and very similar to the Ralph Lauren line featured on Habitually Chic on September 2nd. Which do like better? Isn’t it more interesting to have a period piece?